Its students idolized as the pious spears of the Spirit, and simultaneously mocked as the "Knights of the Bastillion”, the School of Lancyon is the Sancella's signature combat specialty for their Helerian Knights and bodyguards. Its members function as a cheap but loyal force from many different bloodlines and classes, and are all united by their similar devotion to the Great Way and the Sancella as a whole. Though their origins are political and their reputation has darkened with the corruption of the Synod's High Reverends, the Lancyon school is intent on remaining a bastion of zealotry for as long as their order lasts, no matter the sins they confront in the streets and the hatred they receive in court. The School of Lancyon is forged in both Unionism and politics. After the First Schism kicked the Evintarian sect out of the Regalian Archipelago, several significant figures in the Sancella began to gather private forces of zealot guardsmen in response to growing tension in the Unionist faith. Whether or not the intent of these armies was truly defensive is debated by historians; however, regardless of theory, they eventually became too large to ignore. By the year 98 AC, the Emperor allowed the establishment of an official Helerian Guard, and by extension the School of Lancyon itself, through which the Sancella would be able to train more competent and disciplined warriors for their budding force. Initially, the School of Lancyon was infamously stagnant in its teachings, refusing to budge from the ways of old and the cheap tactics which had once been valid for private and small guard forces. In time, thanks to progressive minds in its parent organization, the School opened its gates to regular men and women, who flooded its membership with new faces and new ideas. Prominent families of the Helerian Guard were formed past this period, as were innovative styles, such as usage over the halberd and knecht pike, though the core discipline remained rooted in combat with the spear and pike. Word of the incredible combat efficiency of the School’s graduates reached far and wide within the Empire. As more students flocked in, the School of Lancyon became self-sufficient enough to warrant separation from the Sancella; this became official in 243 AC. This decision continues to allow them to avoid being dragged into the politics of Basta and the Unionist faith, though many participants are still wholly dedicated to their devotion to the Empire and their religion. The Helerian Guard is still trained in the Havre-Sur-Bastillion, and every Lancyon is taught theology by night. They also have access to higher quality Steel from the Holy Forges of Basta in Bastillion. Regardless of their official stance of independence, the future of the Lancyon Order seems forever tied to the Sancella. The School of Lancyon is housed within the splendid chapterhouse of Havre-sur-Bastillion, a monastery-turned-fortress on a Basta hilltop, bristling with towers and is filled with spacious halls. It looms over the surrounding countryside, a cultivated wilderness of rocky hills and sparse forest flanks the provincial capital of Basta, Bastillion. 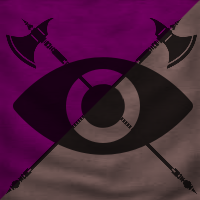 Despite being a conservatively Ailor organization, the Lancyon Order does allow non-Ailor to enter, as long as they are and remain devoutly Unionist. The School of Lancyon is loose in its morality and allows for relative independence as soon as students are off-grounds. Though there are strict rules and heavy enforcement of the Unionist Creeds, most rules in the Havre-Sur-Bastillion are enforced for practicality sake, and students care for the school grounds without intervention from the administration. There exist a list of ‘spiritual’ guidelines and these are often used to discipline rebellious recruits during their training period. The single unbreakable oath a Lancyon must take is that they may never take up arms against the cause of Unionism, including all devout men or women, especially the clergy. This results in a near one-hundred-percent desertion rate of atheists, anti-Unionists, and those of other faiths, and those that do not desert are often bullied out of the school early in their enrollment. The learning process of a Lancyon is often very physically intense and lasts a total of six years. A Lancyon’s style is very much individualized, and tutors are even encouraged to take especially promising new ideas from their students. Though the school is standardized to polearms, such as spears and lances, many instructors teach with halberds and pikes. It’s often said no two Lancyons fight the same, as most Lancyon instructors are often young blood with new ideas, returning from short Helerian careers. As result, Lancyons from the same class structure are encouraged build a sense of brotherhood with one another, much like an exceptional warrior platoon. By night, Lancyons are granted minimalist courses on the Creeds, the history of Unionism, Herons, and disciplined for their failures of the day, before being sent off to rest. A Lancyon’s final test is the epitome of their ‘beatdown’ method of instruction, as a prospective Lancyon is put through a rigorously intensive oral test in which they must show their memorization of Creeds and Herons, and an even more intensive physical duel with a peer from outside their class group using live weapons. The point of this final lesson is to both show off the skills of individual tutors, as an instructor can be fired if their class underperforms, as well as to display a would-be graduate’s skill and physical prowess. Even if the battle is lost, if the judges are convinced of the loser’s skill, they will still graduate. All Lancyon graduates are devoutly Unionist. Sancella-funded instructors immediately root out those whose faith is doubtful. Most Lancyon students take a single leather ball from their training as a souvenir. These become “badges” of sorts and are a way to recognize Lancyon graduates. There is a famous tale of a Helerian Guard distracting a would-be assassin by pelting him with his souvenir, saving a Supreme Reverend from certain death. The Havre-Sur-Bastillion functions much like a modern academic institution; the grand chapterhouse has no dorms and requires the student to have a roof to sleep under in the nearby Bastillion or surrounding villages. Though the School of Lancyon is staunchly devoted to Unionism, a common name for a party that has gone way too far is a “Lancyon Party,” as Lancyon initiates are infamous for their ravenous partying, a habit teachers poorly attempt and often fail to suppress. This page was last edited on 22 April 2019, at 21:04.